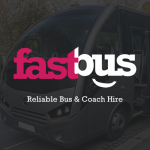 Fastbus specialise in immaculately presented Minibuses & Coaches for Hire throughout Ireland and even travel to the UK. Our drivers are of the highest quality & all buses and coaches are air conditioned & well maintained. We are Fully Accredited & insured. Also providing Airport & Ferry Transfers – Exclusive or Shuttle Bus Transfers Available. Our buses & coaches operate 24 hours a day, 7 days per week! Looking to hire a Minibus in Dublin? Whether its a corporate event, a wedding, a day at the races, a concert or a golf trip we will fulfill and exceed all of your expectations for your journey taking you from anywhere in Dublin to anywhere in Ireland.